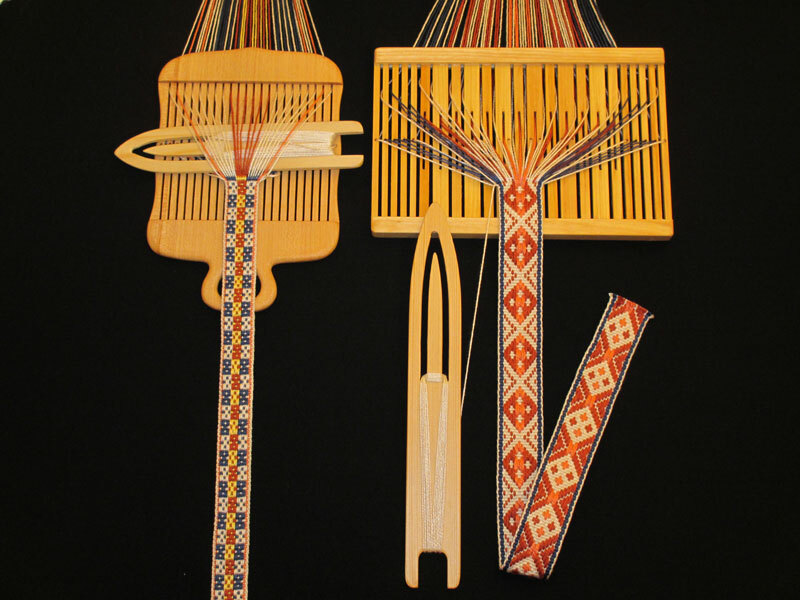 Historically, pick-up-woven bands were used in Norway to tie up baskets of food, to swaddle babies, and as hairbands, apron bands, stocking bands, trim for clothing, and more. In this class you will weave two types of pick-up, each on a different threading, and you will have a variety of patterns to choose from. The traditional band heddles will be warped for you prior to class. Your finished samples will make nice ribbons or bookmarks. For more information, visit the class page on the museum website here. For general information on Vesterheim/The National Norwegian-American Museum & Heritage Center visit the museum website here.